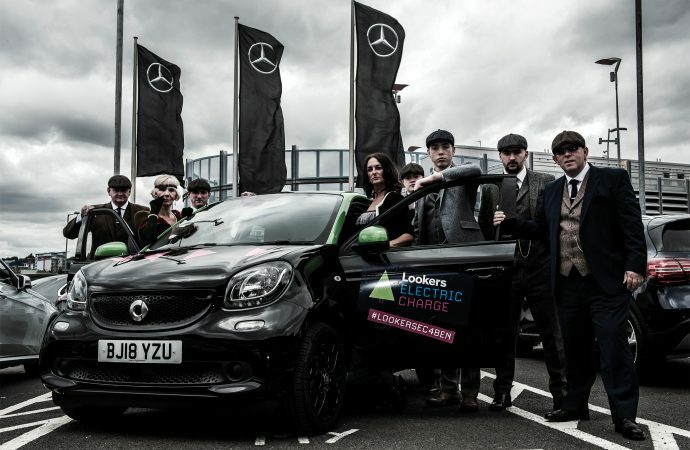 Lookers Electric Charge: £215,755 – What an incredible total! The Industry Leader Challenge is undertaken each year to raise as much money as possible for the automotive charity Ben. Last year it was the turn of Lookers, and in this sponsored post the dealership chain reflects on its success. IT’S FAIR to say that Lookers had a very eventful 2018. The national franchised retailer group continued its acquisition strategy with the purchase of Jennings Motor Group and its full-year and half-year financial reports told a story of resilience and confidence in the face of market uncertainty. However, many of the headlines about the group last year were not the result of its performance on the stock market, but its support for local and national charities. Its biggest initiative was perhaps its involvement in the third annual Ben Industry Leader Challenge. The baton is passed every year between businesses to raise vital funds for the charity, which works tirelessly to support those in the motor industry who have fallen on hard times. Electric vehicles and hybrids took centre stage when Andy Bruce, the chief executive of Lookers, took up the challenge at the 2017 Ben Ball, a glitzy gathering of the great and the good of the motor industry in support of the charity. 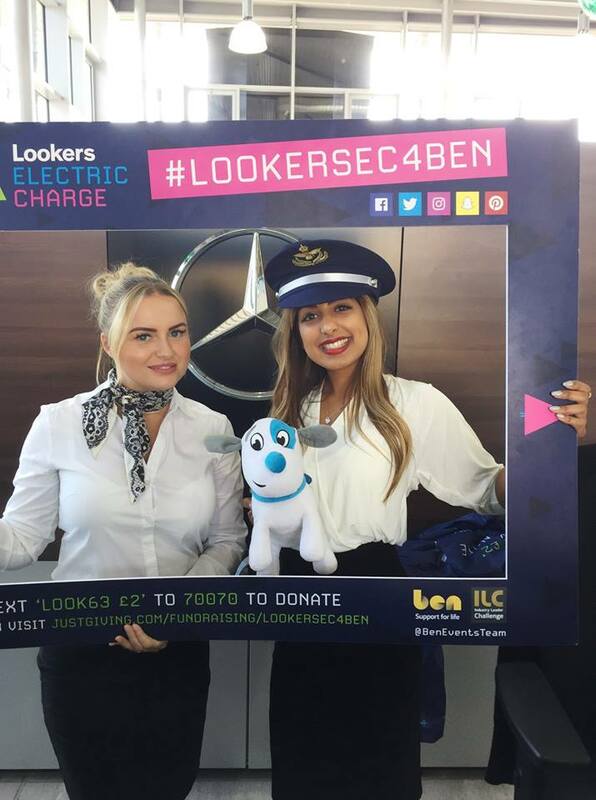 Lookers Electric Charge tasked all 160 of its dealerships, as well as head offices, to raise as much money as possible for Ben over a six-month period. This involved a relay of electric and hybrid vehicles travelling 2,000 miles to destinations that included the group’s entire dealership network. 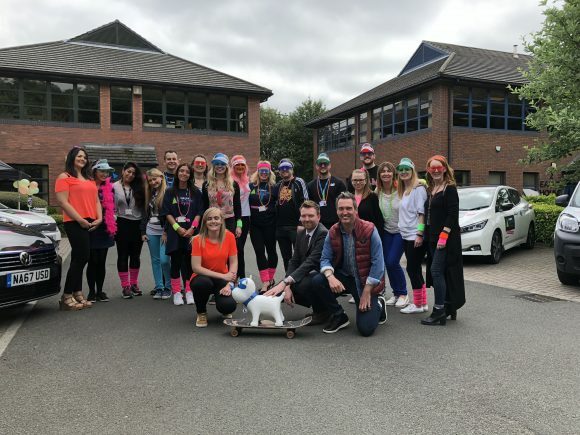 Along the way, a wide range of fundraising activities was held, from carbon-neutral days to test-drive events and golf days. Other stops included the impressive 75-acre Nissan plant in Sunderland and a finale in which Johnny Mowlem, European Le Mans Series GT champion, test-drove the all-electric Jaguar I-Pace around the manufacturer’s facility in Castle Bromwich. Carbon credits were also purchased where hybrid vehicles were featured. The challenge got off to a roaring start in May at the £20 million Audi Centre in Dublin, before moving on to Charles Hurst’s sprawling Belfast operations, with pit stops at the group’s Portadown and Lisburn Vauxhall dealerships. It was then down to the team at Renault Newtownabbey to transfer the relay over the Irish Sea to Audi Ayr, from where it then headed down through Scotland and England until it reached its final destination at Mercedes-Benz Eastbourne in October. Along the way, it was left to the good people of Lookers to come up with creative ways to raise as much money as possible and ensure that the Lookers Electric Charge would prove to be the most successful Industry Leader Challenge yet. It was a challenge that staff would rise to most emphatically – so much so in fact that Bruce would go on to announce the hugely impressive total of £215,755 at the 2018 Ben Ball in December. He said: ‘I can’t say enough how incredibly proud I am of what we managed to achieve last year with the Lookers Electric Charge. ‘Ben is a vital resource for those within our industry who have found themselves in difficulty, and the Industry Leader Challenge was a fantastic opportunity for us to show our appreciation.